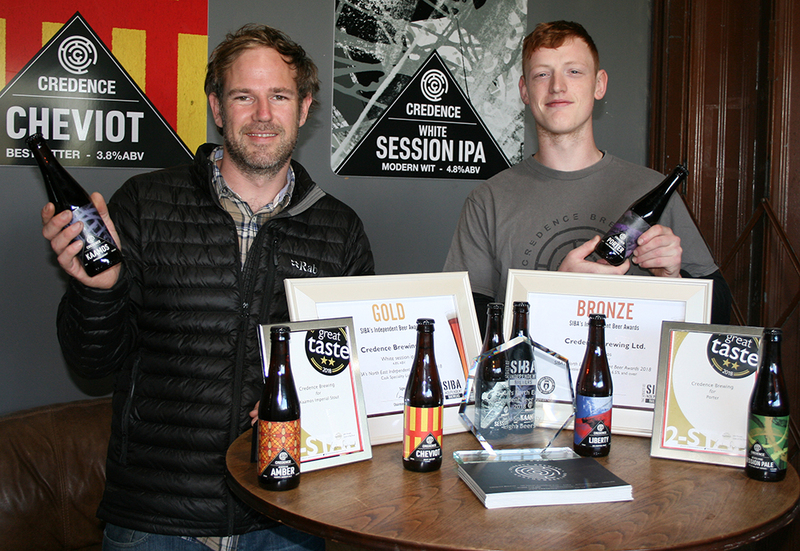 Amble brewery, Credence Brewing, has won two awards from Great Taste, the world’s most coveted food awards. Out of over 12,600 products, Credence Brewing was awarded two 2-star Great Taste awards, for its Kaamos and Porter beers. The 2-star award means the judges dubbed it above and beyond delicious! Judged by over 500 of the most demanding palates, Great Taste is widely acknowledged as the most respected food accreditation scheme for artisan and speciality food producers. Michael Graham, Owner and Head Brewer at Credence Brewing said “As a business we are growing rapidly. We are producing a range of beers from light pale ales to really dark and delicious stouts. Credence Brewing began in 2015, with four core beers. Since then, they have expanded their range to seven, and now produce their beer in bottles and casks. They are now considering plans to export around the world. The company is based on the Enterprise Park, but you can sample their wares in Amble yourself at the Masons Arms.